I’m not sure when, where or from whom I first heard that love is who we are. I am sure that, when I heard it, I knew in my bones it was true. I knew it could not be otherwise. I knew it was a world-altering, paradigm-shattering truth that could change everything in my life, everything in my world, and everything in our world. I just didn’t know how to translate that deep knowing into those world-altering changes. As profound as it was, the insight itself didn’t create any immediate shifts for me. It wasn’t the catalyst for my instant enlightenment. It didn’t suddenly open a direct channel to divine, loving guidance. It didn’t teach me how to think and act differently. It took me quite a while to figure out that those things were my job. It was my job to explore, experiment with and expand the insight. It was my job to reach deep inside of myself for understanding. It was my job to make it real in my life. And so I began. Clumsily, I will freely admit. To be honest I didn’t know how to begin, and so the insight initially sat, sparkling and still, on a high shelf in my mind. I could see it, but I couldn’t reach it. I would think about it and meditate on it from time to time, but otherwise I went on with life as usual. Still, it was a start. Fast-forward a few years. My business wasn’t growing at the rate I needed it to grow, and I was vacillating between frustration and despair. One New Year’s Day, I decided to review my journal entries from the immediately preceding year. I was stunned – horrified – by the way I talked to and about myself in those entries. I doubted, judged and criticized myself routinely. I complained. I confessed my deepest fears, and I kept writing about them until they became more menacing and more real. The proverbial light bulb came on in my mind. How could I possibly succeed when I had this ever-present voice of condemnation hissing in my ear? I understood that I could not. And it finally dawned on me that my earlier recognition of the truth that love is who we are was meant to guide me. It was meant to teach me how to treat myself. Rather than trying to push myself forward out of fear or judgment, I had to learn how to love myself forward. I had to learn how to love myself, period. Later, I understood that cultivating genuine self-love does even more than help us move forward with greater ease as we go about creating our lives. It forges the vessel within which we can experience ourselves as Love. It shifts our energy field, our vibration, our very consciousness. And with those shifts come new levels of awareness and understanding of who we are and what is possible for us to experience. I began my earnest cultivation of self-love by focusing on how to dissolve self-judgment and self-doubt. I experimented with various approaches until I found ones that worked for me. As my understanding of self-love deepened, I began thinking of it in terms of a relationship, and decided to actively cultivate the qualities of a loving relationship within myself – qualities such as listening, respect, trust and compassion. Along the way I experienced moments of incredible grace, guidance and insight which helped me realize the truth, at deeper and deeper levels, of who I am. And as the realization deepened, it became easier for me to relax and trust myself. My thoughts and actions – my Doing – came into harmony with my Being. Of course, there were plenty of moments when I wasn’t experiencing anything even remotely resembling harmony – moments of anxiety, frustration and fear. (There still are.) Yet even at those times, I knew that loving myself was my path back to that harmony. I might have gotten lost, but I still had my trusted compass. I began to understand that, contrary to what many people say, fear is not the opposite of love. Love has no opposite. Love IS. Fear is the opposite of trust. Even when we are in fear, love is present. Love is always present to guide us.  I started incorporating what I was learning into my teaching, my writing and my work with clients. It struck a chord. I realized that many, many people who appear to be successful and happy on the outside are, on the inside, fearful or frustrated or feeling that something is missing. And countless others who haven’t experienced what they would call genuine success or fulfillment don’t yet realize their own lack of self-love is holding them back. In fact, many of those people believe that self-love is selfish, so they’ve been actively avoiding it. I am here to assure you that genuine self-love is not selfish. It is self-honoring, expansive and generous. It is peaceful. It is uplifting. It is, as I recognized all those years ago, world-altering and paradigm-shattering, in the best of ways. Self-love is the foundation upon which we cultivate a powerful, magnetic, creative Presence, one that is unobstructed by fear and doubt and criticism. When we stand in our own unique, powerful Presence, we stand in Grace. We draw to ourselves the ideas, opportunities, insights and support we need to live deeply fulfilled lives. We experience a natural generosity toward Life that arises from kindness rather than obligation. We have a sense of being at home in our own skin, living the life we came here to live. And the good news is, self-love can be learned. It can be practiced. It can be embraced, embodied and fully realized. Why not start right now? Right now, you can intend to become more aware of how quickly you turn on yourself when things aren’t going the way you want them to, and vow to treat yourself with compassion rather than contempt. Right now, you can begin appreciating all of your wonderful qualities rather than constantly criticizing what you believe are your faults. Right now, you can start paying attention to the whispers in your heart of hearts. Right now, you can decide that you matter, and that what you love matters. I want you to experience the deepest level of self-love you’ve ever known, because I want you to experience the most fulfilling life you’ve ever imagined. Now is your time. You may begin.